This is OUR new baby. I guess we’re not too old to give birth. 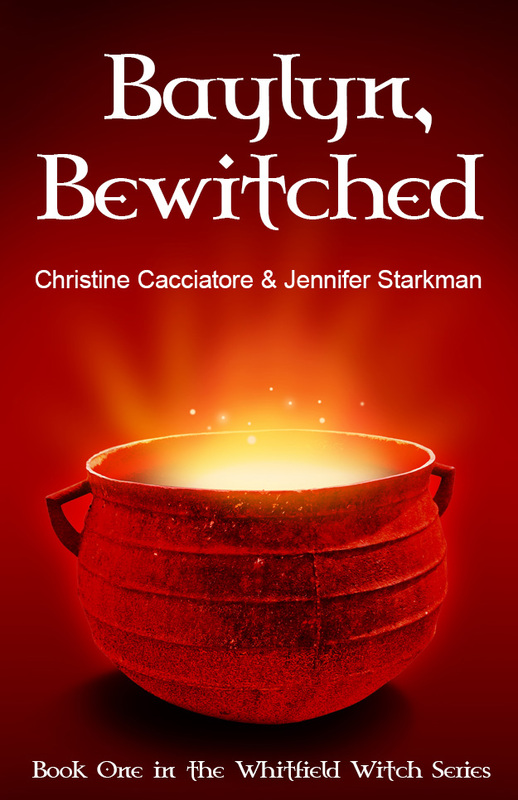 My sister and I recently finished, proofread, edited, revised, polished, (and every other word you can think of) our manuscript Baylyn, Bewitched, a whimsical story about a quirky witch with a big secret. We had a lot of fun writing it. Well, that’s not exactly true. It’s hard work. It’s blood, sweat, and tears. It’s late nights after your husband has gone to bed. It’s saying, “I can’t go, I’m working” and not feeling bad that others might say, “writing? that’s not working.” It’s early mornings and lunch hours in coffee shops. It’s taking a notebook and pen every single place you go, just in case you have a wonderful idea for your masterpiece…it’s there, so you can jot it down. It’s Saturdays and Sunday’s chores being done early so that you can sit down and write in the evening. It’s staying accountable. It’s hard. Like I said, we had a lot of fun writing it. And despite all that “fun”, we’re already knee deep in the writing of the next book in the series: Cat, Charmed. That one should be out by the end of the summer. For now, you can find our book at Amazon, Barnes and Noble, and Smashwords. 2 Responses to "Speaking of births…"
Congrats on the book! I really like the cover, it's eye catching! Thank you so much! I thought the red color was cool and especially loved the cauldron. Tugboat Designs did the cover. They're great to work with.